I have been learning English for almost 12 years in school and university and have never had a conversation with a native English speaker. I know grammar at an upper-intermediate level but I can't speak at all. How can I improve my speaking skills especially when I don't have any native speakers to talk to? Communicating with others is probably the most important reason we learn languages. It seems surprising then that many students don't ever speak the English language. There are many reasons for this but most students don't speak because they are afraid to make mistakes. It's that simple. Other learners can exchange information but struggle with even basic conversation. Still other students have problems with pronunciation or speaking fluidly and at an acceptable speed. Before I offer suggestions, I want to say there is no “right” way to learn English speaking and most students need to use a variety of resources and approaches. However, there is no way to improve speaking without speaking. It's like any other skill: it takes practice. The internet is a great resource for finding other people to speak English with. There are many different language exchange websites which provide a platform for learners to chat and help each other learn new languages. Learners can chat with audio or video (and also type in messages). 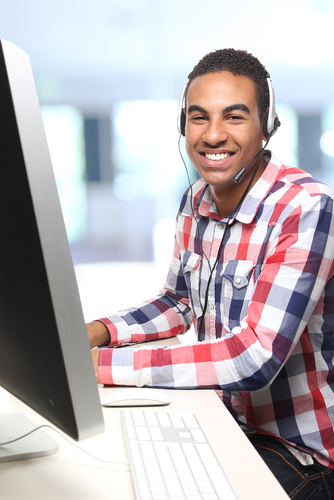 Each site also offers online tutoring and courses that you can pay to attend. Their chat services are free. Meetup.com is a website that helps "neighbors get together to learn something, do something, share something…" Search under your city for an English conversation group or activities for people who speak English. This is great because you can do activities that you enjoy while also speaking English. Don't see a group in your city? Start one yourself! 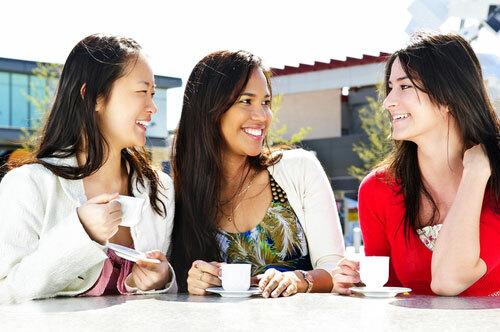 It's a fun way to make new friends and improve your language skills. Polyglot Club organizes events where you can meet people face-to-face. Currently, there are more than 400,000 members in 51 countries. They have “country” and “region” administrators that help organize face-to-face activities such as Polyglot cafes, Polygot Potluck and Picnics, Polyglot parties, trips and lectures. Polyglot also offers online language exchanges (like Livemocha, Verbling and iTalki). There are organizations for expats (“expatriates” or foreigners) in many cities around the world. These groups range from business associations to social groups, sports clubs and more. Many have online forums where foreigners are looking for people to learn your own language and you can do an exchange or group conversation at cafes. To find these organizations, type “expats” + the name of your city in Google, Bing or Yahoo search. There are 14,350 Toastmasters clubs in 122 countries. These clubs offer “learn-by-doing” meetings were participants speak in front of a group. The atmosphere is relaxed and supportive. There are no instructors. Participants get feedback from other members. This is a great way to practice English speaking if you need to speak English for work or school. English learners need to develop different speaking skills: pronunciation, vocabulary, speaking fluency and listening (to understand the person they are speaking with). 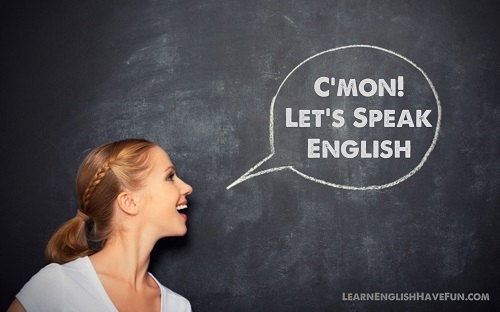 A native English speaker is the best to help with pronunciation and vocabulary building. However, for being understood, speaking fluency and listening you can practice with almost anyone. For the past year, I have spoken Turkish to a friend who I met in a class 12 years ago. Neither of us is fluent in Turkish. We make mistakes with grammar and don’t have all the right words. But we have both improved our speaking fluency and our confidence by meeting at a café and speaking every week. If you have a friend from your English class or can find another student to practice English with it can be very helpful. You will stay motivated to practice and build confidence for speaking with others. A friend is also someone who will go with you to a local event where you can meet expats. If you need to improve your pronunciation then I highly recommend you work one-on-one with a native speaker or take private lessons. 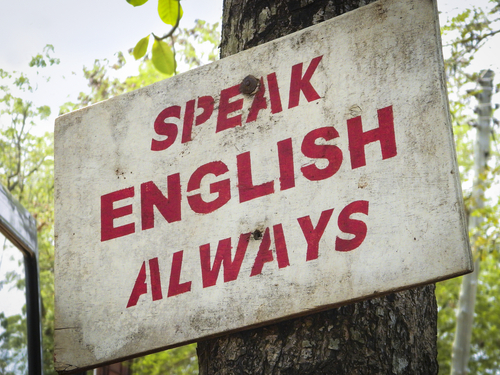 Most English speakers have an accent (American English, Australian, British, Canadian, etc. and countless accents within these countries). However, some students do need extra attention, especially if their mother tongue does not have some if the same sounds in English. If you are very anxious and shy about speaking, private lessons can help you build confidence. Be sure to set goals with your teacher for developing your speaking and invest the time in practicing the basic introductory conversations so you can begin talking to others as soon as possible. italki.com has very affordable prices for private instruction with both professional teachers and "community" teachers (not officially trained as teachers). Teachers from countries like the Philippines offer lessons at much lower rates than teachers from the US, Canada, UK, etc. Don't worry about your English not being "advanced" or "sophisticated" enough. Most people use basic English in conversation. You don't need to use big words or idioms. In fact, I don't recommend you use either! It's great to be able to understand idioms but no one is waiting for you to use them and it's more likely that if you make any mistakes, it will be with fancy vocabulary and idioms. Just speak using the words and expressions you are comfortable with. As I said at the beginning: there is no “right” way to learn English speaking. Pick just one suggestion from my list and give it a try. As the sports company Nike says, “Just do it”! The most important thing is practice. I hope some of these suggestions will be helpful. Best wishes with your studies! Brazilian supermodel Gisele Bündchen reveals how she learned to speak English when she first came to the United States as a 16 year old in this fun video. 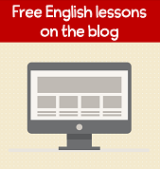 Return from English learn speaking skills to What the Wednesdays Q&A or to homepage.